Eran Thomson / ARTICLES / GOING TO MIP? READ THIS FIRST. It’s that time of year again where TV Writers, Producers, Directors, Showrunners and everyone with an idea for a cooking show starts planning a trip to France to hock their wares at the world’s largest international TV market. If you’ve never been before, and are thinking of going over to sell your idea for a cool comedy web-series, awesome travel show, or totally new reality format idea, let me share some tips. 1. Plan Ahead. Most people have all their meetings set up well before they go. Its almost impossible to get meetings with key players if you haven’t set them up beforehand. Their schedules will be full, so its worth emailing people ahead of time. 2. Get the Bible. If you’ve registered to attend you should have received or be eligible to download an attendee phone book or directory of sorts that lists all the people coming, what they do, what they’re offering/looking for. Use this to identify your best targets. 3. Stay Off the Floor. 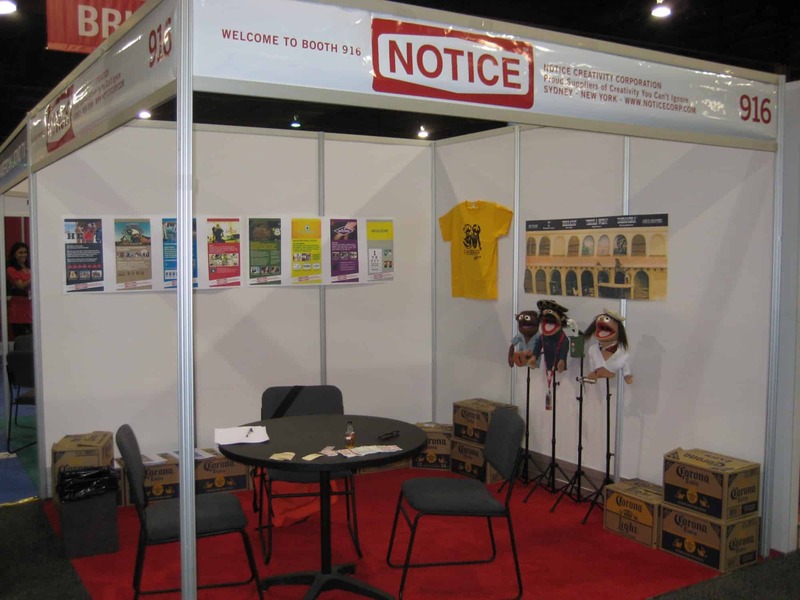 When I went to my first TV market (NATPE) I foolishly paid for an exhibitors booth on the floor. It’s a complete waste of money. Most if not all the important meetings where deals get done, get done in hotel rooms. Networks and production companies book suites and run their game from there. In fact, most of the deals are done well before the market even starts. People just meet there to sign contracts, see old friends, and get drunk. This little section of the huge exhibition floor at NATPE costs thousands of dollars and it’s not worth it. At all. For any reason. 4. No Really, Stay Off the Floor. With the exception of the major networks, most the people on the exhibition floor are punters who don’t know better — like I was. If you’re going to be out there you need to think creatively about how to get noticed. There are tons of exhibitors and all their booths look the same — except for the established players who invest thousands of dollars on their booths. It’s actually amazing. Some build full on cafes, restaurants, game rooms etc. When I went I had no money to get anything made so I went around to all the nearby bars, collected a ton of Corona Beer cartons, and stacked them like bricks to make my display. It was a real traffic stopper and it didn’t cost me a cent. Then either they’ll call their own bluff or your Lawyer will call them and tell them to get real. 6. Have Lots of One-Pagers. Have one-pagers for every idea you’re pitching. I never saw a “real” one-pager before I went to NATPE, but I took a guess at what people might want to see on them and I guessed well. Not everyone loved all my shows, but everyone loved my one-pagers. I’d do them different now, but you can Google for examples and make your own version. The one thing most people leave off is all the ways their show can make money. If you have ideas that go beyond selling ads, put them on there. They’ll love it. And in case you don’t know, a One-Pager is basically your pitch on one page. One side of one page for one show. 7. Party When You Get Home. Personally, I would resist the urge to party with everyone, or at least choose your moments carefully. You want to bring your A game and be on point if/when someone asks you what you’re pitching. And that can, and does, literally happen in elevators, so know your pitch inside and out, sober or not and be able to get it out before the doors open again. Better to bond over ideas than beers. 8. Practice Your Pitches. Pitching is what you’re going there to do. So get them down, get them tight. Be able to pitch any of your shows anywhere, anytime, to anyone. When you can recite them in your sleep, you’re ready. 9. Research. Know what the people you’re pitching to do and are looking for. If you pitch them a show that’s not right for them then they assume you don’t know the biz. And second chances don’t come easy. 10. Cable If Your Able. Find a Manager or Agent friend (or friend of one) who can get you a document called “Cable Needs.” This is a sheet that’s updated monthly by agencies that lists all the types of shows networks and cable are looking for. It’s incredibly valuable and saves you time pitching to people who aren’t interested. 11. Pitch Comps. For the record, most TV market pitch comps are fun and a good way to get noticed if you win, but if you win, someone else typically owns your idea, so you need to decide if winning is worth losing your IP for. Note that you may lose your IP just by submitting. Here’s where a Lawyer can advise. Most of the time when I’ve read the T&C’s for those comps they’re a terrible deal for the pitchers. Youv’e been warned. Besides, most of the time those comps are for dreamers, not legitimate players — which do you want to be perceived as? 12. Book Now. Don’t waste time prepping an entry into the pitch comp. Instead I’d spend the time between now and April 13th finding the people you want to meet with in the MIP Directory, booking the meetings (yes, now, weeks ahead of time is when its done) and finding out as much as you can about what they’re looking for. 13. Oi! Mate! If you’re an Aussie, Screen Australia has a great booth (and hotel suite) every year. They totally look after their own and you can apply for grants to pay for flights and stuff too. Definitely check out their website and even if you don’t apply for funding, visit their booth when you’re in Cannes as they can make introductions all over. That’s all I got, hopefully you can learn from my mistakes, and I can watch your amazing new cooking show soon. Bonne chance! Have you been to MIPTV, MIPCOM or NATPE? Do you have experience and/or advice to share? Drop some science in the comments.